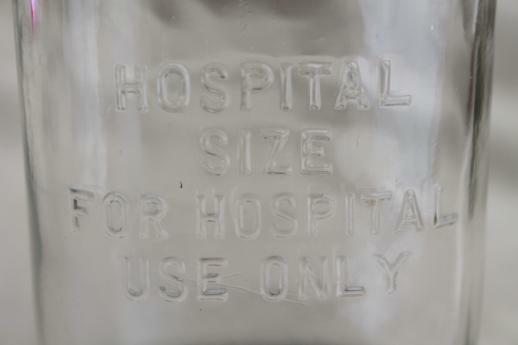 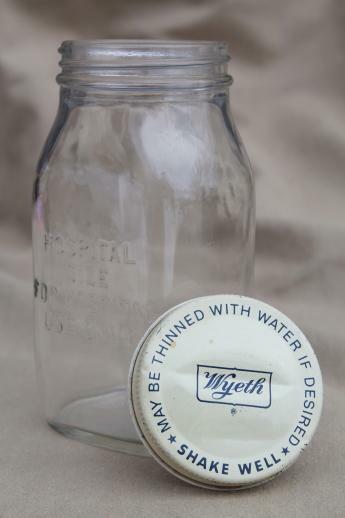 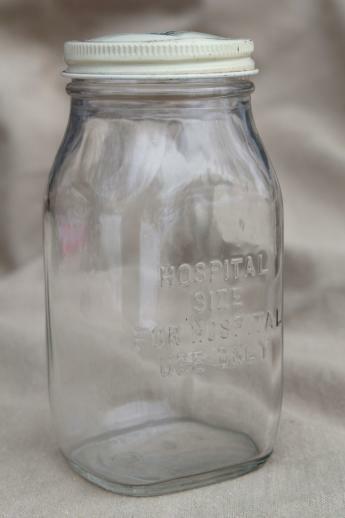 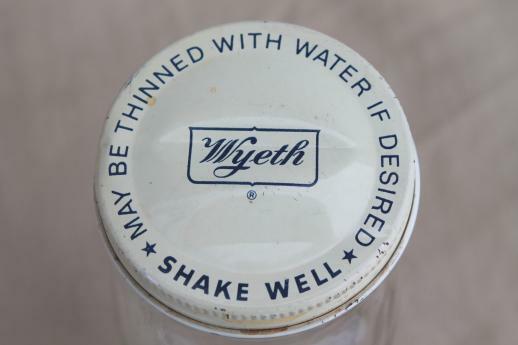 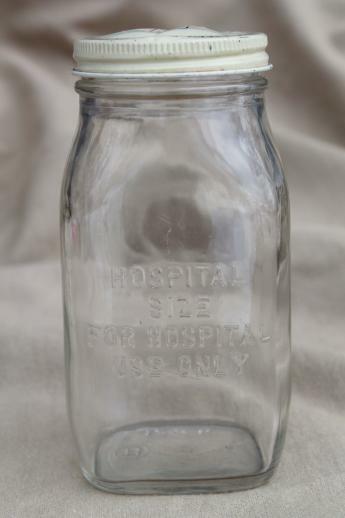 Vintage Wyeth clear embossed glass bottle - a druggist's bottle, or tooth powder jar? 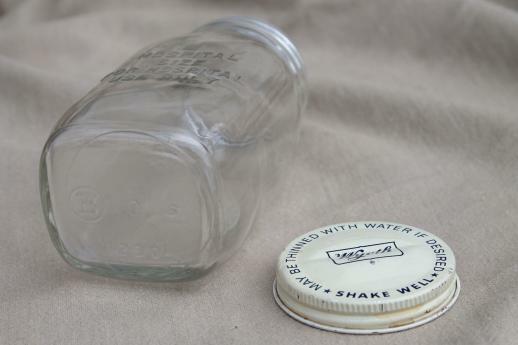 It's 5" tall, half-pint size, with metal screw top lid. 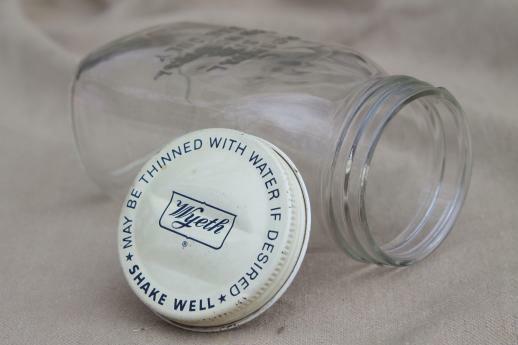 It's nice and clean, free of chips or cracks.